In Wyoming alone the USDA's Wildlife Services program killed more than 5,000 coyotes and 52 wolves in 2017 — and thousands of other native animals. Bear, foxes, bobcats, beavers ... the nationwide death toll was 1.3 million. On Tuesday the Center for Biological Diversity sued Wildlife Services in Wyoming for its outdated, barbaric extermination plan. The program relies on trapping, killing and poisoning over nonlethal methods that have been shown to work. 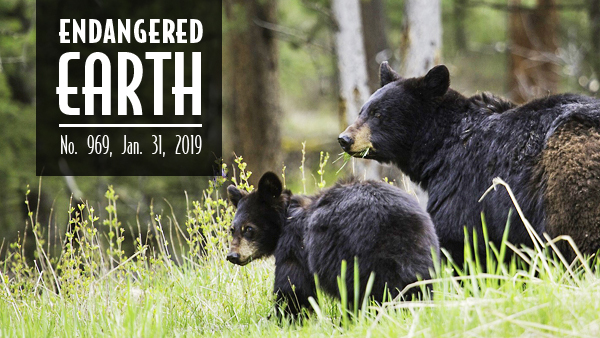 "Wildlife Services' cruel killing practices are ineffective, environmentally harmful and totally out of touch with science," said the Center's Collette Adkins. "America's wildlife deserve better." Read more and consider donating to our Stop Wildlife Services Fund. We celebrated this week after a judge upheld safeguards for gray wolves under California's Endangered Species Act. The Center and allies secured protections for gray wolves in the Golden State after a wolf named OR-7 wandered into California in 2011. This week's ruling rejected an attempt by the Pacific Legal Foundation to have those safeguards scrapped. "We're so glad the court got it right and kept protection in place for California's recovering gray wolves," said the Center's Amaroq Weiss. "The Pacific Legal Foundation's case was the worst kind of grasping at straws. This is a great result for the vast majority of Californians who want wolves to recover and who understand their importance to healthy ecosystems." A Bolivian amphibian named Romeo was long thought to be the last Sehuencas water frog on Earth. 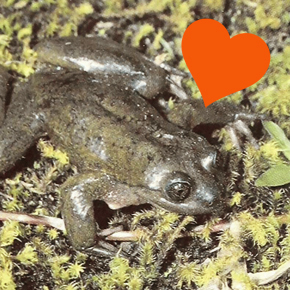 Luckily scientists just found five more frogs, including two eligible bachelorettes. Now there's hope for the species' survival. But what if the scientists hadn't found Romeo's Juliets, and he croaked before reproducing? What if government agencies give up on "probably extinct" critters without thoroughly searching for survivors? When should a species be declared extinct? A new bill in the California Legislature would finally end fur trapping in the state. The Wildlife Protection Act of 2019, backed by the Center and Social Compassion in Legislation, was introduced by Assemblywoman Lorena Gonzalez (D-San Diego). "Not only does the cruel fur trapping trade decimate our increasingly vulnerable wildlife populations," Gonzalez told the Los Angeles Times, "running this state trapping program doesn't even make fiscal policy sense." More than 1,500 animals were trapped for their fur in California in 2017, including beavers, badgers and mink. Previous advocacy by the Center and allies led to a ban on bobcat trapping in California in 2015. Read more in the Los Angeles Times and stay tuned for how you can help get this new bill passed. Wonderful news: Recently released photos taken in September 2018 show Sombra alive and well and roaming his Arizona habitat. Since 2016 the wild jaguar has been spotted in different locations more than a dozen times, evidence that he's traveled great distances through the borderlands. Check out the new images of Sombra on Flickr and watch our 2017 video footage of the big cat on Facebook or YouTube. 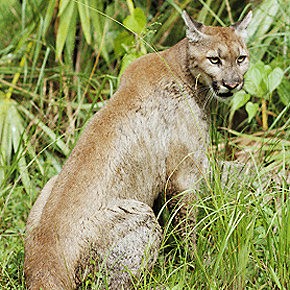 The last thing Florida's rare, vanishing panthers need is another megadevelopment, writes our Florida Director Jaclyn Lopez in the Miami Herald. A massive sprawl-project scheme to put up to 300,000 people in panther habitat comes with a weak "habitat conservation plan" that only pays lip service to protecting some of the world's most endangered mammals. Considering dozens of panthers are already being run down and killed yearly in the county where the sprawl would go, the venture would be lethal. Read more. On Jan. 28, 1969, a well in the Santa Barbara Channel spilled millions of gallons of oil, blackening 30 miles of coastline and killing thousands of animals. This week the Center and allies marked the 50th anniversary of the spill by protesting Trump's plan to expand offshore drilling in federal waters. "Fifty years later, oil drilling remains as dangerous and dirty as ever and needs to be phased out — not expanded," said the Center's Blake Kopcho. 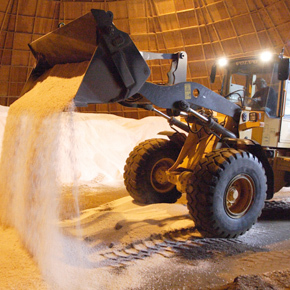 Many of our rivers and lakes are getting saltier, scientists report. And that salt is mobilizing heavy metals and nutrient pollution to create dangerous "chemical cocktails" that endanger wildlife and drinking water supplies, writes Tara Lohan in The Revelator. Read the article and sign up to receive The Revelator's weekly newsletter. 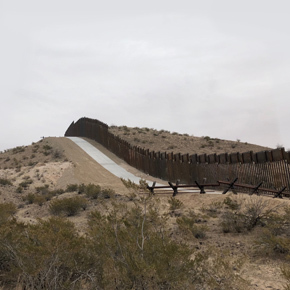 We already have plenty of wall along the U.S.-Mexico border, writes the Center's Michael Robinson in The Hill. And every inch of new wall threatens to do even more harm to native animals that depend on cross-border movement for their survival — from jaguars and Mexican gray wolves to bighorn sheep and bison. Read Michael's piece in The Hill. To survive its harsh desert habitat, a seemingly ordinary Namibian beetle has developed an amazing set of adaptations. The head-stander beetle (Onymacris unguicularis) lives in an arid coastal region that has foggy conditions. The beetles gather water by "fog-basking." In the early mornings, these beetles orient themselves toward the breeze and lift their butts into the air. The fog condenses on their shells, which are shaped to capture the condensation and funnel it into their mouths. Learn more about the Namibian beetle and other desert-adapted species at National Geographic. Photo credits: Black bears by Neal Herbert/National Park Service; gray wolf by charleshiggins/Flickr; Sehuencas water frog by internetarchivebookimages/Flickr; American badger by jondavidnelson/Flickr; Sombra the borderlands jaguar by Russ McSpadden/Center for Biological Diversity; Florida panther by George Gentry/USFWS; offshore oil drilling protest courtesy Center for Biological Diversity; road salt by D. Allen Covey/VDOT; border wall by Russ McSpadden/Center for Biological Diversity; head-stander beetle (Onymacris unguicularis) by jamesharrisanderson/Flickr.